The merchants offering up these tasty affiliate opportunities are registered on our very own affiliate network. So be sure to check that out when you’re done with this guide. Now, let’s not waste any more precious gaming time and jump straight to the line-up of gaming affiliate programs. Before we move along, I would like to remind you that our inboxes are always open. So if you want to ask any questions about the programs to follow or anything else affiliate related, then please do get in touch. Remember, we are always happy to hear from you. Okay. Now we can kick off our recommendations of the latest gaming affiliate programs. European gaming specialists, Five Gaming have launched their gaming affiliate program. 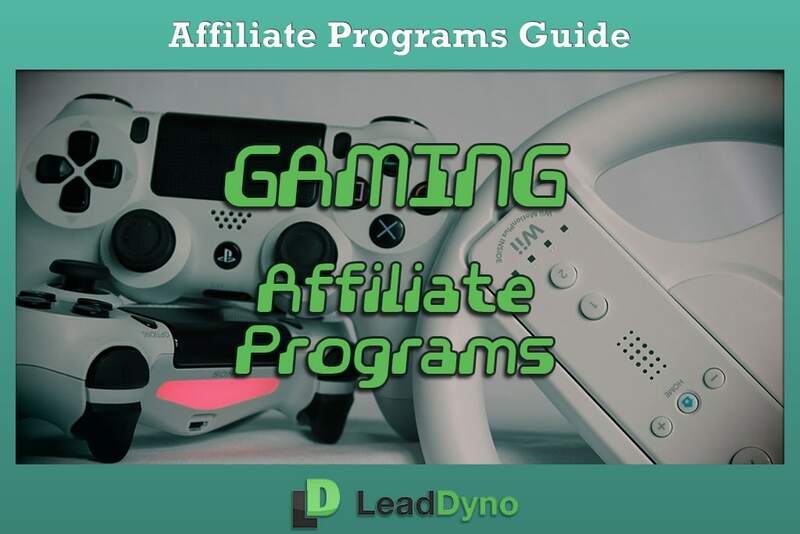 Whether you are a gaming influencer or simply looking to promote gaming gear – then this is the program for you. The company is based in France, so ideally they would hope for their gaming products to be sold in their homeland. So if you think you can muster up some interest in their gear, then sign up to their affiliate program. Bear in mind, they deal with Euro currency. So the actual commission rate per item sold is 2 euros. Making it about US$2.20, based on the current exchange rate. The guys at Casino Kart focus mainly in the world of poker. Offering quite a range of quality poker cards, chips, and tables. However, they also have a few comfy gaming chairs! 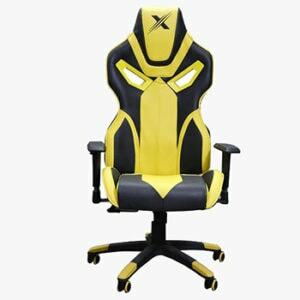 They stock the Armour, Arc, and Ranger series gaming chairs. Available in white, black, blue, red and yellow. If you’re looking to promote their gaming products on your own website, then you can sign up to their affiliate program and earn 10% commission for every sale. Are you ready to spice up your gaming experience with top of range pro gaming mice and keyboards? Then bounce on over to Games Booster. They offer both wireless and wired professional mouses that come with optional add-ons. 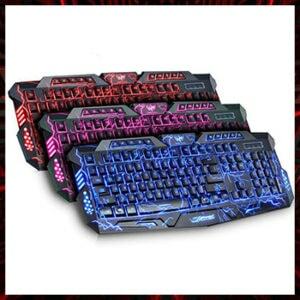 As for their gaming keyboards, you can get your hands on their stunning pieces that come fitted with backlight. Games Booster is now looking to recruit affiliate marketers to promote their gaming products. If you want to get started immediately, you can register through our very own e-commerce affiliate site. Here, you will also be able to register with other similar gaming affiliate programs. Once registered, you can start marketing their products on your website, social accounts or even your gaming channel. And as a reward for your hustle, you will earn a hefty 50% commission on each sale. Now, are you ready for us to blow your mind away? Here is a gadget that makes it possible for you to FEEL the game you’re playing! Like really feel it in your bones. And even feel the music running through your blood – like you were at a live concert. This state-of-the-art multi-media technology is developed by Woojer. It is intelligently designed with polyphonic haptic technology to boost your music and gaming experience through physical sensations. If you think you can influence your gamers community to purchase one or even 30 of these beauties, then you should become an affiliate of Woojer. The commission earned is based on the number of units sold. 10% for selling 1-10 units. 12% for selling 11-20 units and 15% for selling 21 or more. Based on monthly sales. Eat, Sleep, Game, Repeat! And perhaps throw some gaming art in there too. Retro Patents have come up with a unique concept for art prints. They have created patent art for inventions that revolutionized the gaming world. These would make great decorative pieces for gaming enthusiasts. Stuck in a room for several hours in gamer mode? 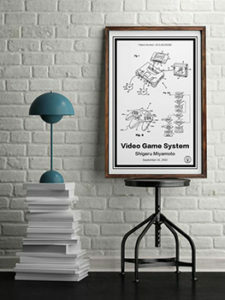 Then why not add a few of these classic patent gaming prints to the room decor. As for Retro Patents affiliate program – they are offering between 25% and 50% commission dependant on sales performance. Very generous if you ask me! So why are you still waiting? Go ahead and become affiliated with these guys, so you can start earning a yummy side income. Are you in search of that all elusive perfect dice for gaming? Well, look no further. Gravity Dice was born to give gamers a dice that would trump all dice. These magnificent dice provide a unique feel, randomized rolls and of course, something to impress your gaming opponents. Their custom engraved cases and dice are crowd pleasers. They showcase on their website previous custom projects. 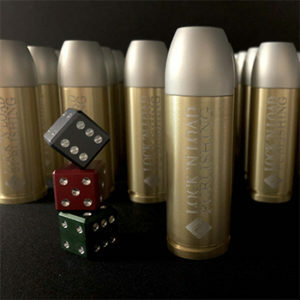 One of which are dice that come with bullet-shaped dice casings. But any color or design that you’re looking to achieve – Gravity Dice can fulfill your dice fantasy. I strongly suggest that you check out their gorgeous range of dice over on their official website. Then click on this link to sign up as an affiliate so you can start promoting their merchandise. The guys at Gravity Dice state that they will pay a 25% commission for each sale generated by their affiliates. It doesn’t have to end there. If you would like to explore even more products to promote on your gaming website, then check out our directory of participating merchants. Aside from that, we have other affiliate product guides just like this one that we think you should check out. Now we know just how serious gamers can get, but we can’t let them slack off on their health. So our latest article on Nutrition Affiliate Programs offers a few great health products to keep them going. Vaping has become increasingly popular amongst gamers, and so the products in our guide on the latest Vape Affiliate Programs would go down a treat for these guys. If you are targeting gamers who are into live streaming, then you certainly want to check out our Affiliate Programs for Beauty Bloggers guide. You can find some great products to promote to gamers who need to beautify themselves before going live. There you have it. Don’t forget to join us every week. Because we always share expert affiliate marketing advice and guide you through all the latest affiliate programs.